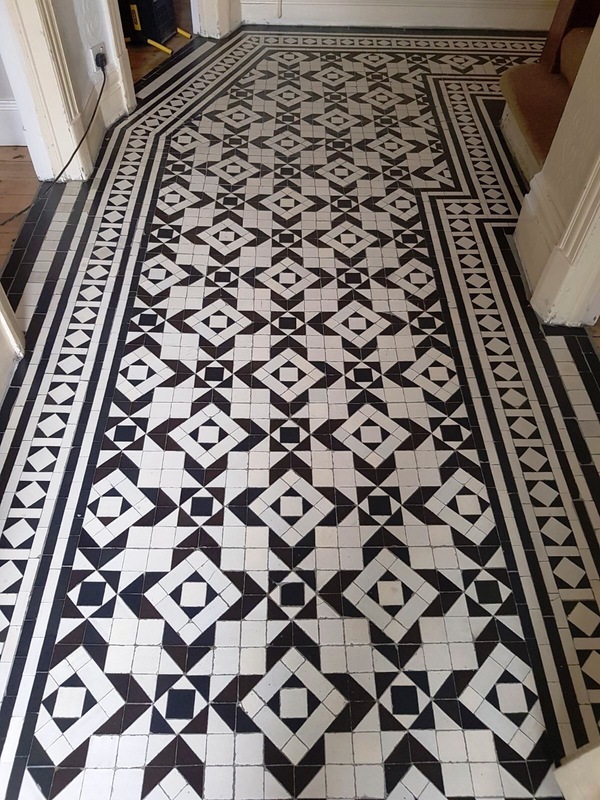 This lovely Victorian Tiled Hallway was discovered by a couple during the renovation of their home in Woodford Green which is a suburb of Woodford in North East London. 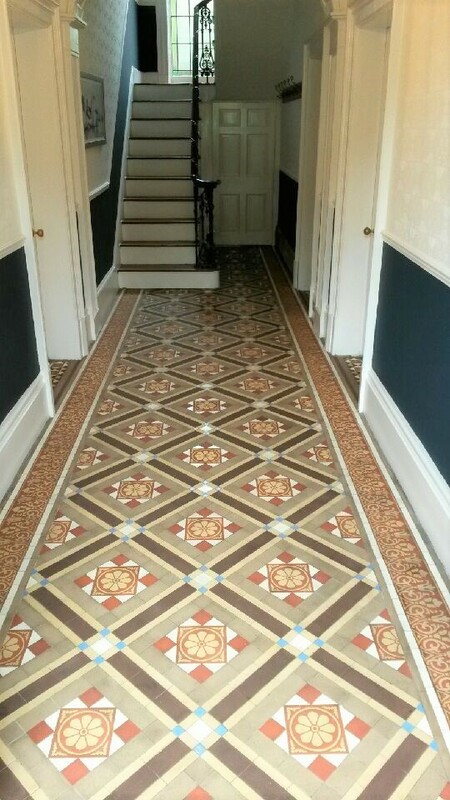 The tiles were covered by a hallway carpet and much of it was obscured by concrete floor leveller. 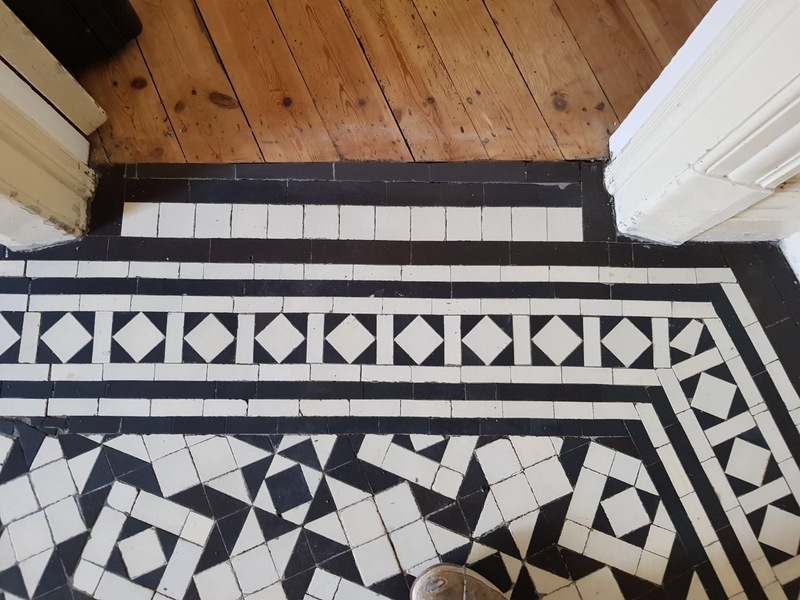 Fortunately just enough of the tile was exposed to give an indication of the Black and White Victorian floor underneath. 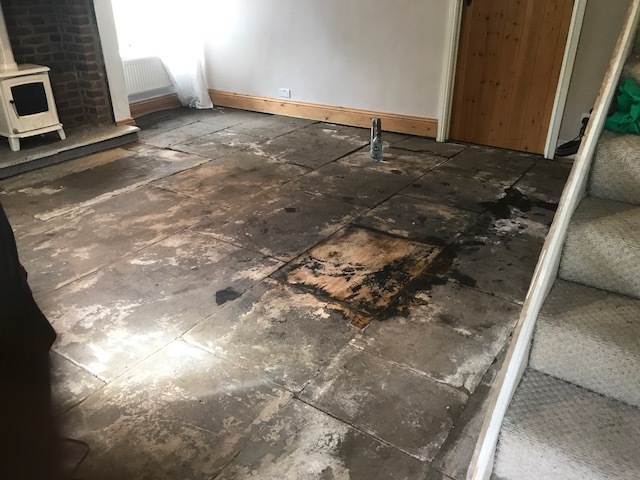 After initial investigation and discussion on what was possible, we were invited to quote to restore the floor which I’m pleased to say was accepted. 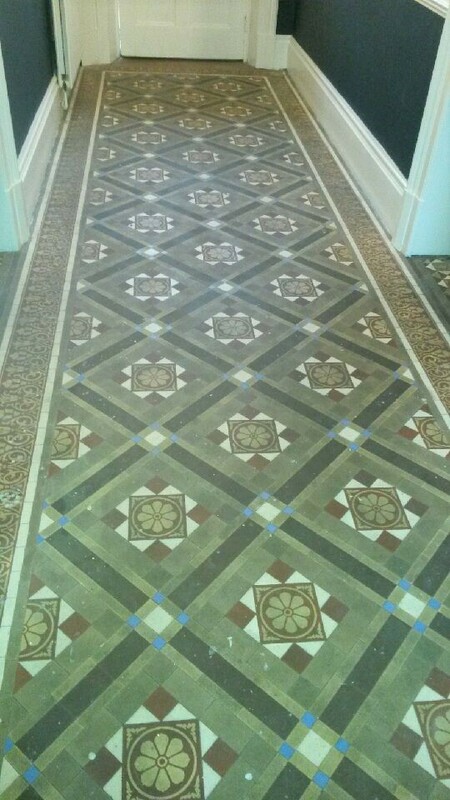 The following pictures show an indication of the process we followed to restore the hallway to its former Victorian glory. 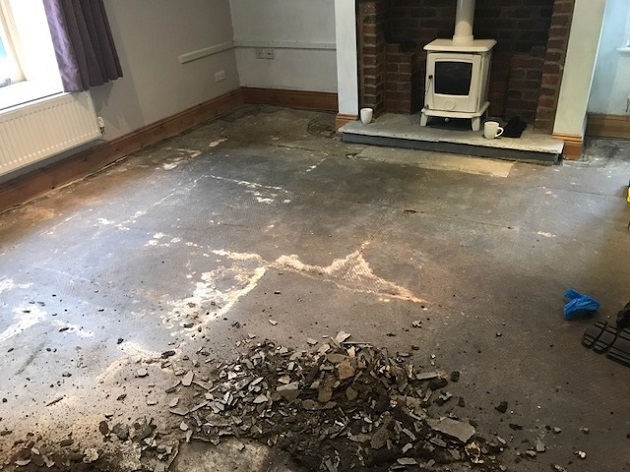 The first step was to remove the concrete floor levelling compound which was done very carefully using small hand tools, detail blades and scrapers. 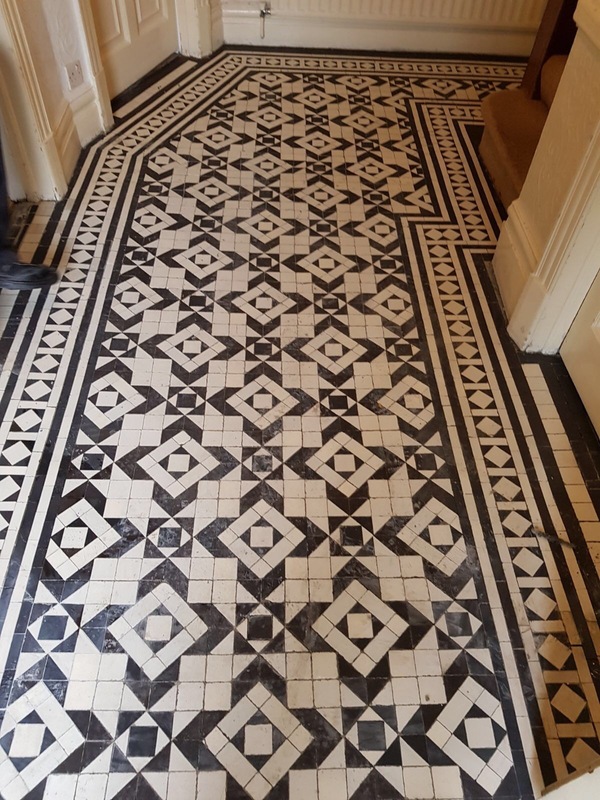 This took a lot of work as we did not want to damage the tiles underneath. 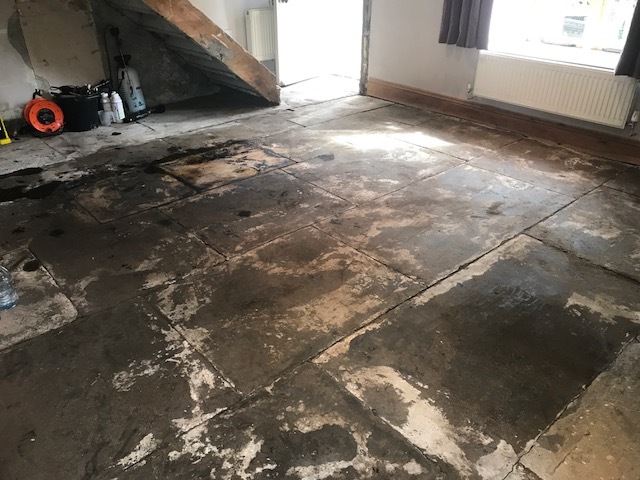 You can get a feeling for this from the photographs below where we slowly remove the concrete layer over the floor to reveal the Victorian floor underneath. 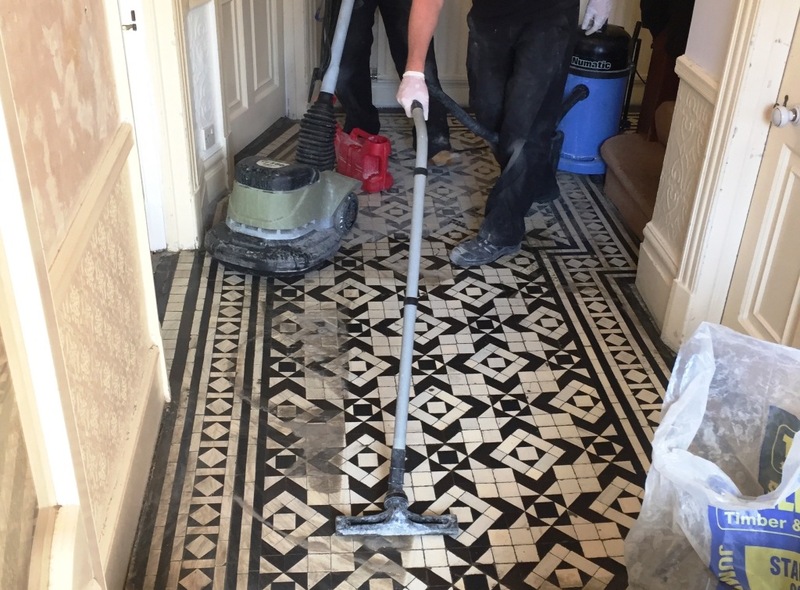 Once the Victorian tiles were all uncovered and the cement had been removed we got a good idea of the condition of the tiles and began a deep clean restorative process. 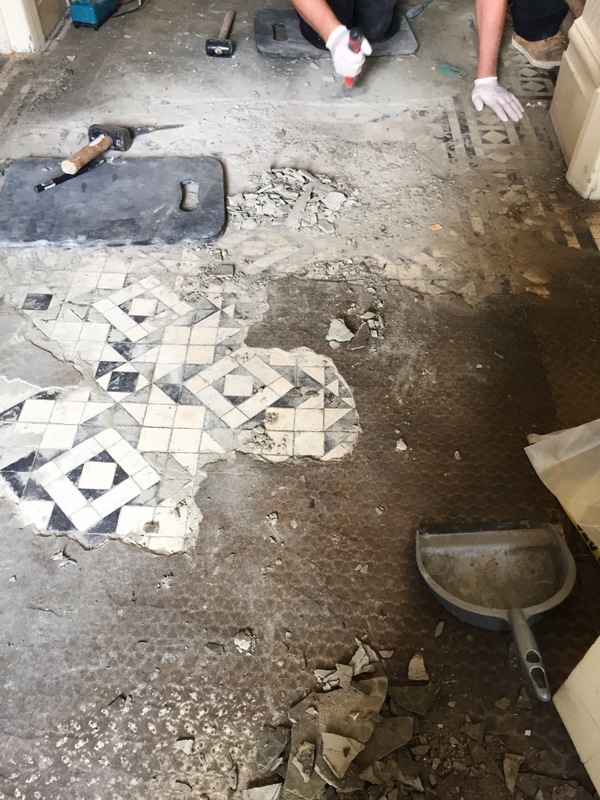 The process began by giving the floor an acid wash with Tile Doctor Grout Clean-Up which was left to dwell on the tile for ten minutes before being scrubbed in to release remaining smears of concrete and grout residue on the tiles. 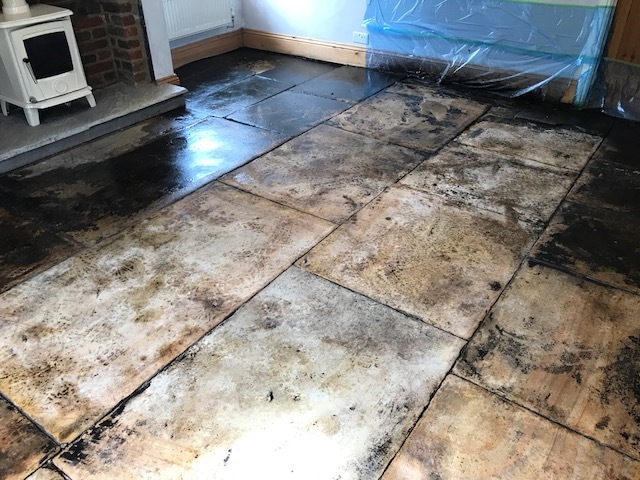 The resultant soil was then removed with a wet vacuum and the floor then cleaned with Tile Doctor Pro-Clean using a similar technique of leaving it to dwell and then scrubbing it in. 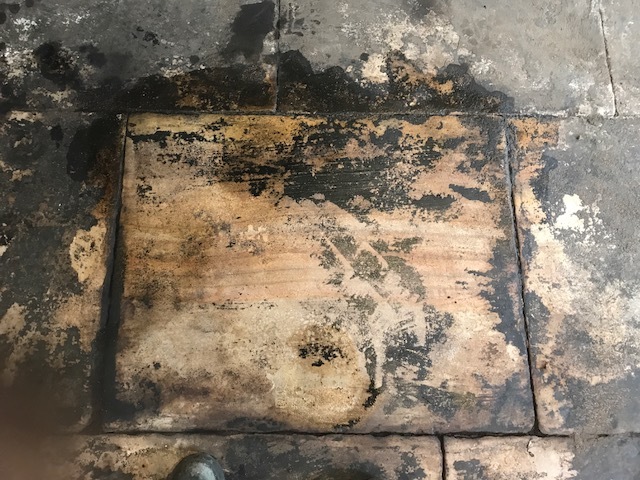 Once cleaned the soiled cleaning product was removed with a wet vacuum and the floor give an thorough rinse with fresh water which was followed by a steam clean to finalised the process. 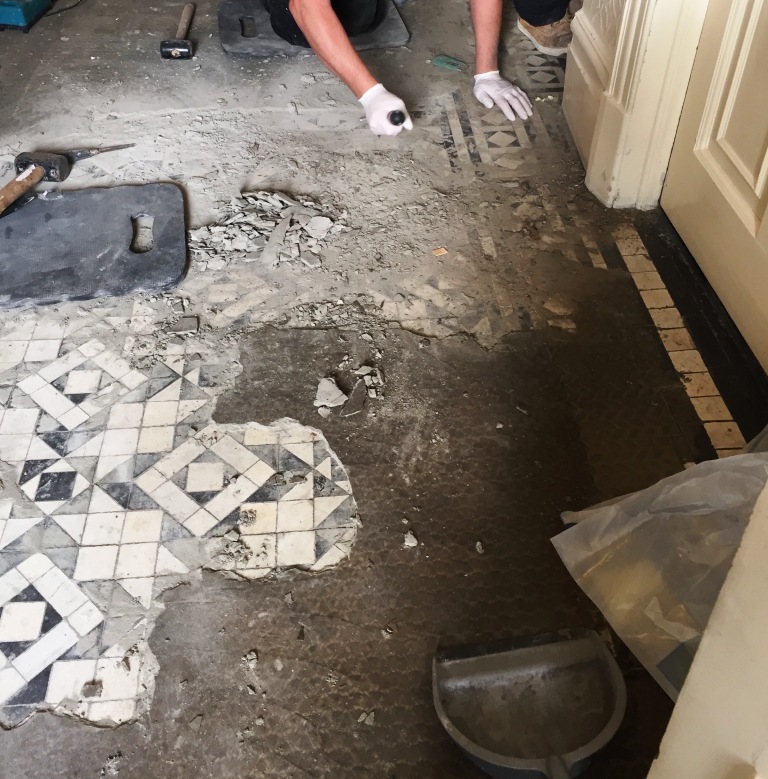 With the floor now deep cleaned we moved on to addressing the three door thresholds which needed to be rebuilt to fix loose and replace broken tiles. 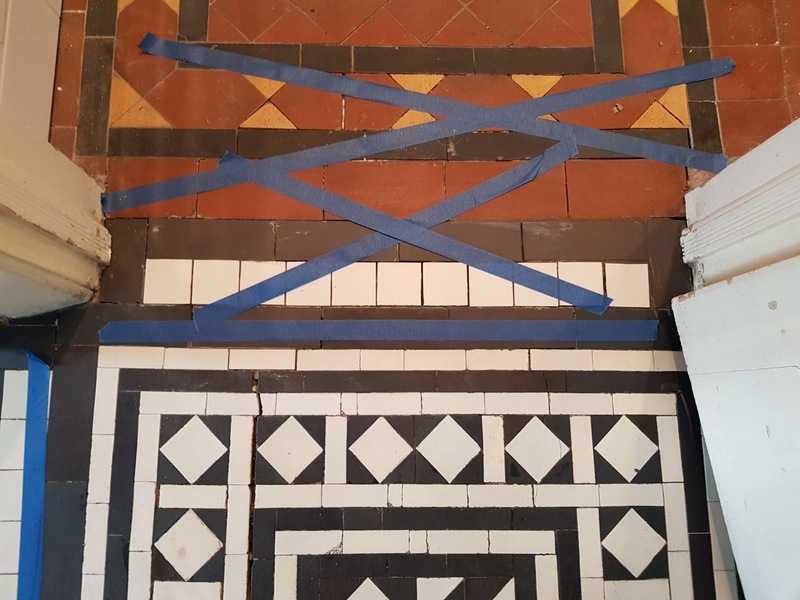 The tiles were left to dry and set overnight and we returned later to seal them with an initial coat of Tile Doctor Colour Grow, an impregnating seal as a primer before re-grouting. 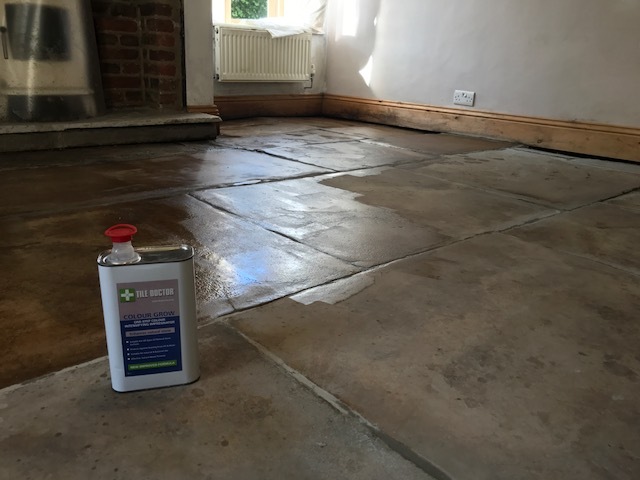 Colour Grow is an impregnator that seeps into the pores of the tile protecting it from within and also enhancing the colours in the tile. 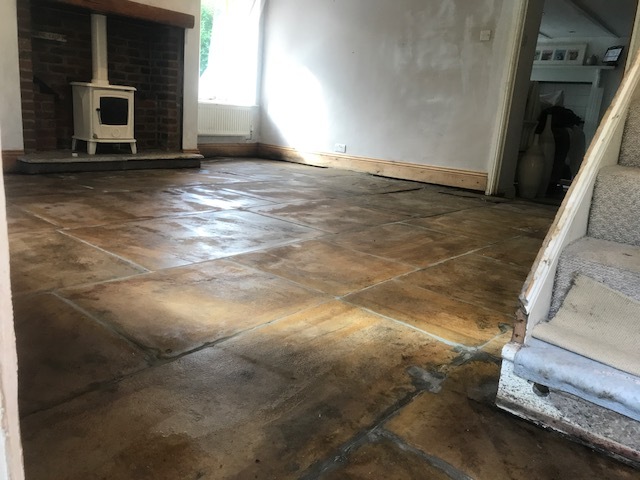 When the grout was set it was time to finish off the sealing this time using five applications of Tile Doctor Seal & Go to provide a natural sheen finish. 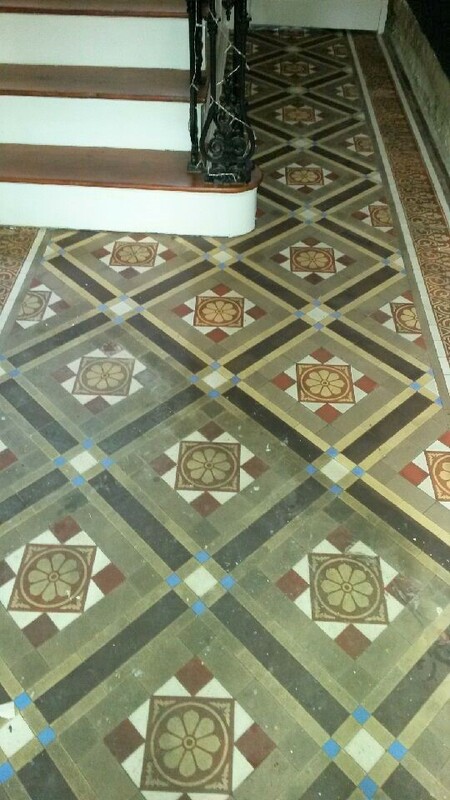 As you can see from the picture, the floor has been fully restored to its original condition and with the correct maintenance; it should last for years to come. 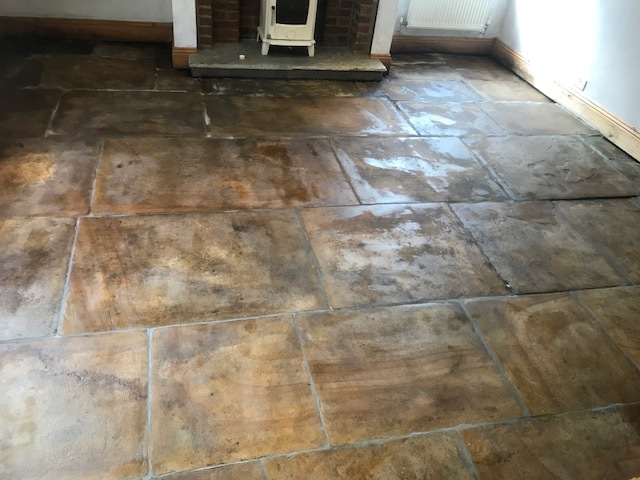 The owner was very pleased with the difference we had made and whilst the Yorkshire stone had been darkened by the Bitumen in places it has defiantly added a lot of character to the floor and blends in well with the rustic wood burner in the hearth.